If you've seen our instagram, Pinterest, facebook feed, Twitter feed or in fact most of our projects, you'll have probably noticed that plants play a recurring theme. It's not just because ‘greenery’ has become a thing or that plants are just lovely things to look at but also because there's some serious science to prove the positive impact it can have on is when they're part of our environment. It’s why, on moving into our new office, practically the first thing we did was to buy some plants. Minotti. Even if you don't have a conservatory or large windows, the tropical vibe is definitely achievable. Especially with the latest Minotti collection. The colours, woven fabrics and inclusion of wood are reminiscent of some seriously cool 70s rattan conservatory furniture but with the clean lines, it's all got a rather wonderful modern twist that makes tropical possible in any room. Abigail Ahern. If you really love plants but, like some of the trifle team, just seem to have a bit of difficulty keeping them alive, it’s worth investing in some of the amazing faux numbers on offer from interior designer Abigail Ahern. They look very realistic and the best thing is that she share the penchant for the tropical. Just check out her awesome collection here. Rockett St George Natural Wallpaper. 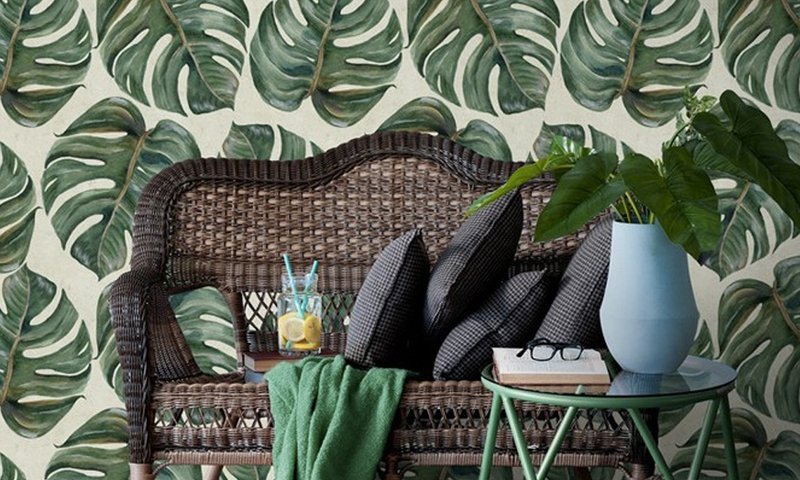 As an alternative or, (and we would definitely be up for this), really heating the tropical vibe up and adding to a huge volume of plants, tropical or botanical wallpaper is a great way of getting that green feeling indoors. Check out Rockett St George’s natural edit. Geo Fleur Where you can join the plant post club, read their fantastic book or pick up a potted plant for a space of any size. V isit here. 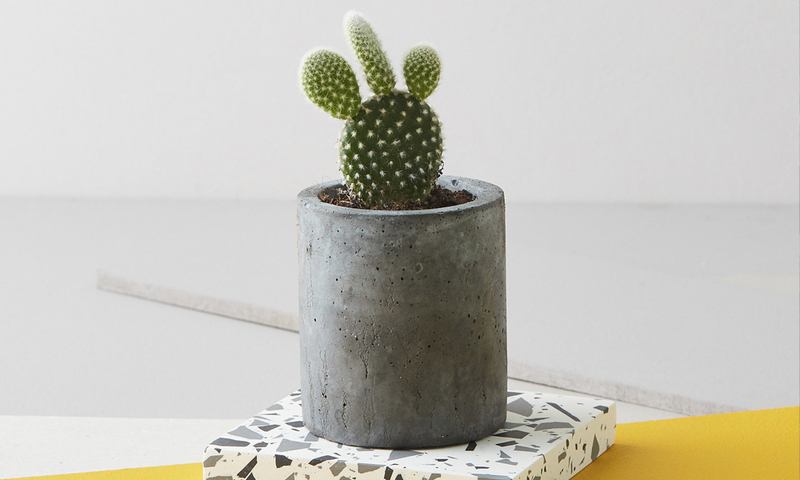 Trouva For a wealth of ideas on adding the tropical vibe, plants & plant prints) to your office or home such as the brilliant desk tidy by Kikkerland, Whaka Whoa print from East End Prints or the gorgeous and environmentally friendly tropical water bottle. Beldi Country Club - Marrakech. If we could put a conservatory in our clients spaces a) we would and b) Beldi Country Club conservatory would certainly be somewhere we'd be taking inspiration from. Carefully cultivated over the years, this conservatory is overflowing with the most beautiful tropical wonders. Having a mint tea here is one of the most calming and wonderful experiences in all of Marrakech. Conservatory archives. We couldn't help but feature this again (it’s also in our trifle loves Bethnal Green blog from last week). 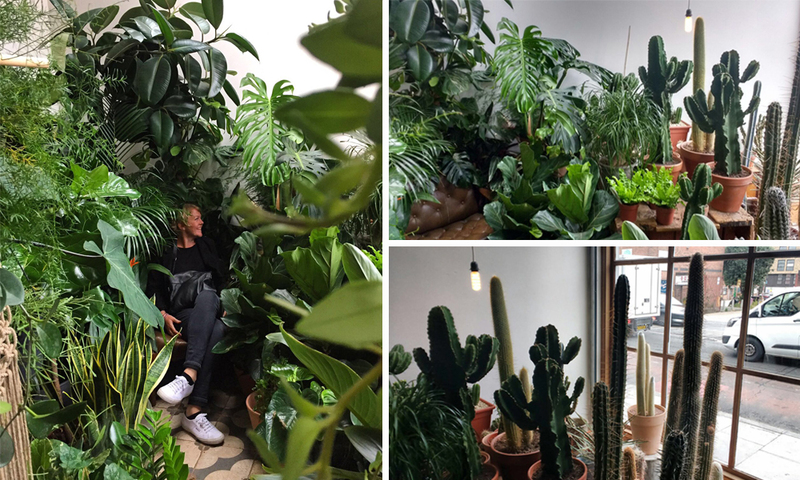 This really is tropical indoor plant heaven as they specialise in indoor gardening helping to make urban environments prettier and healthier. Conservatory archives is a favourite to visit in person and click like on a lot on Instagram. The Barbican. Brutalist architecture and home to the second biggest conservatory in London, this tropical oasis is a great source of inspiration for how strict urban architecture can be celebrated and improved with copious amounts of greenery. If you’re still after more, check out our board on Pinterest. 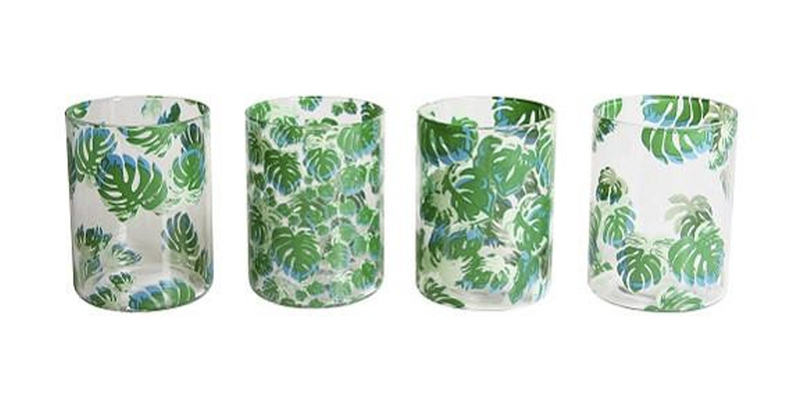 We’re always keeping it up to date with all of our favourite drool-worthy tropical inspiration.